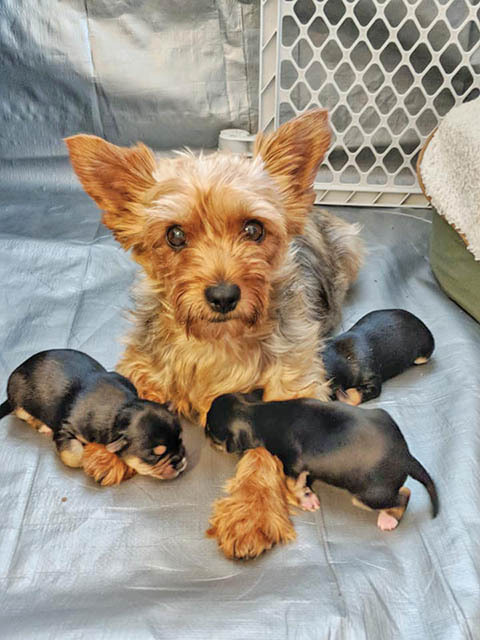 “In running weekly puppy classes, I would have students attend with 10-week-old puppies they had just adopted who were already showing concerning behaviors. Not everyone realizes that socialization begins the moment the puppy is able to interact with their environment and receive input. Paws Abilities’ Project Puppy provides free education to foster homes in order to place better socialized, trained, and stable puppies in our community. Puppies who have this start are better equipped to handle lives as pets, because they are more confident, social and resilient. Many of these exercises also make the foster home’s life easier. Baby puppies are hard work! For example, starting litterbox training at three weeks means that puppies are easier to keep clean. And because the puppies are started on litter that smells like the outside (sod, alfalfa pellets, and wheat pellets), they learn to seek out those nature scents right from the start. Diane Sandstrom, a foster parent through Secondhand Hounds, can attest to the difference. Her foster Rozzie had a litter of adorable Pit Bull crosses. Skye Priesz of Seven Swans Farm raised a litter of herding breed mixes for Heart of a Border Collie rescue. Skye is an experienced foster mama but still enjoyed her experiences as a Project Puppy partner. “The program … is an absolutely brilliant and generous act of loving kindness. When in the midst of feeling worried if everyone is healthy, eating enough, warm enough and safe, it was so reassuring to [have] a knowledgeable mentor. Kinney says that the program is different for each foster. Jane Stier of New Leash Rescue was impressed by how easy socialization could be with her litter of Shepherd crosses. Kinney adjusts her socialization to the future needs of each puppy. 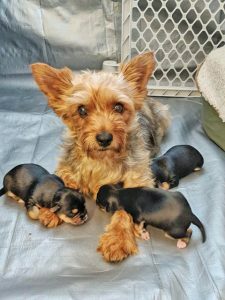 “For a litter of Morkie puppies [through Secondhand Hounds], we spent extra attention on getting them comfortable with grooming tools, being handled, and being comfortable playing on wet grass/rain showers. Priesz is excited to apply her puppy-raising experience with future litters and encourages others to consider this rewarding experience. Sara Reusche, CBCC-KA CPDT-KSA CVT, is owner of Paws Abilities Dog Training.